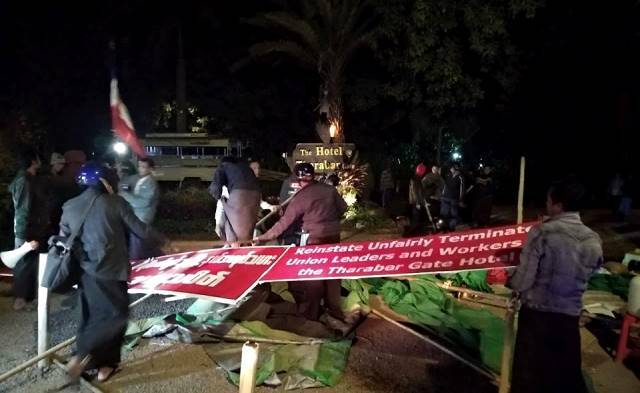 The peaceful encampment was established in the course of vigorous public protest actions organized by hotel unions in the Bagan  area following the anti-union dismissals  by management of the Hotel Tharabar Gate targeting the hotel union chairman, 2 members of the union executive and 7 active union members. Conciliation meetings involving local and national government representatives have so far failed to achieve reinstatement of the victimized trade unionists. At these meetings, the government authorities have proven ineffectual in the face of management's ongoing refusal to respect the law. 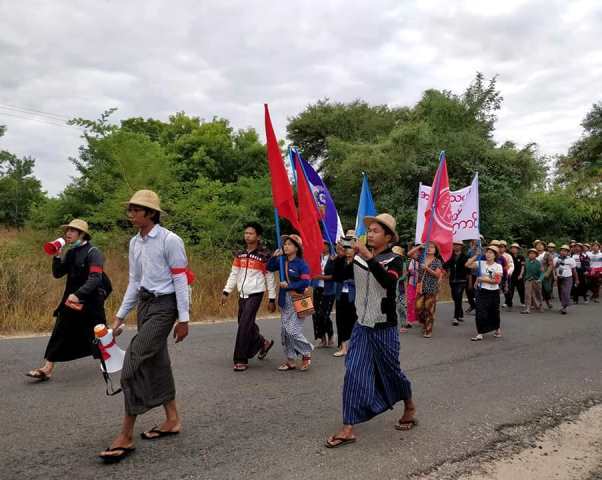 The IUF has therefore submitted a complaint against the government of Myanmar to the ILO's Committee on Freedom of Association. The attack on freedom of association has continued. Acting on the order of local authorities, around 100 people, only a few of them in police uniform, destroyed the camp early in the morning of December 11. When the workers attempted to regroup, they were forcibly dispersed. 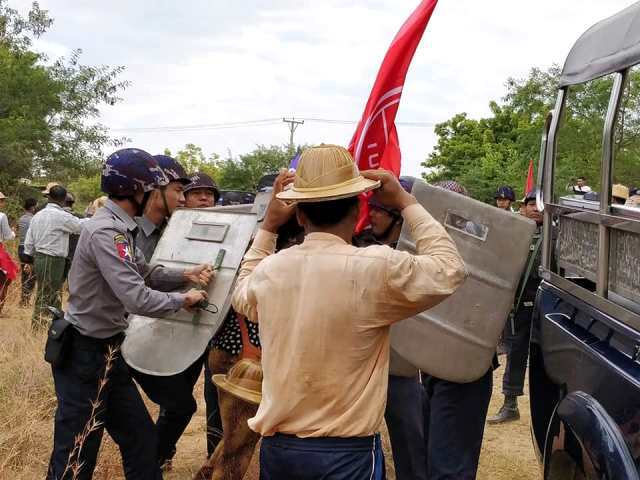 On December 13, HLOB, the union grouping workers in Bagan, attempted to march in protest from the Hotel Tharabar Gate to the Mandalay Region Government Office. Armed police dispersed the rally and arrested 13 people, including 7 union members from Hotel Tharabar Gate. The struggle for union rights and recognition at Hotel Tharabar Gate continues with the full support of the IUF.